Introducing Marketing's new morning briefing, a daily shot of news and a recap of the best longer reads and videos. Today we look at Tesco's new charity scheme to reduce food waste, the latest stats on how hipster beards are harming razor sales and what Google has learnt from its 12 self-driving car crashes. Hot on the heels of the French government’s decision to force supermarkets into redistributing waste, Tesco has launched a pilot scheme that will see 10 of its stores donating unwanted food to local charities. According to the retailer, it wasted 55,400 tonnes of food last year. The deal is in partnership with food redistribution charity FareShare. According to the Guardian, it could help push forward discussions in parliament towards the UK following the lead of the French in forcing all supermarkets to do the same. A Mintel report has revealed that sales of razors and shaving products fell by 3.6% in 2014 and will continue to do so in 2015 as the hipster beard continues to dominate the modern aesthetic. Despite this, the report revealed that men are concurrently spending more on grooming products with those that use five or more products rising from 11% of men in 2013 to 17% of men in 2014. Last month Google admitted its self-driving cars had been in 11 crashes in its six year history and just weeks later, the Telegraph is reporting that the twelfth crash has already happened. 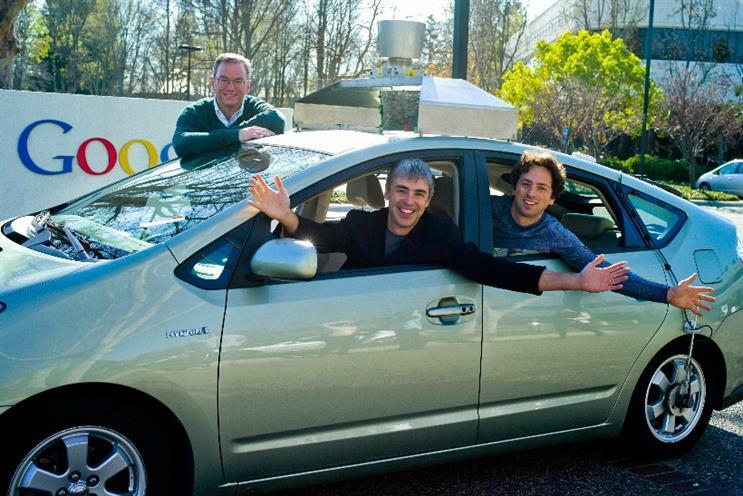 Google’s Sergey Brin admitted the numbers to shareholders but said that in many of the cases the Google cars were rear-ended by human drivers and that the learning is that humans don’t pay attention. Former Coca-Cola marketer turned CMO of start-up success story Airbnb Jonathan Mildenhall gives his views on why creativity is the sustaining advantage as part of our Power100 Series of interviews. Marketing columnist Helen Edwards this month takes on the topic of agencies creating ads solely for the purpose of winning awards, not for the brand’s benefit. Marketers can turn this around, according to Edwards. Last month we took a behind the scenes look at British Airways’ immersive game, installed at Victoria Station to promote its Caribbean getaways. What do you think of experiential campaigns like this? Would it stop you from rushing for a train?